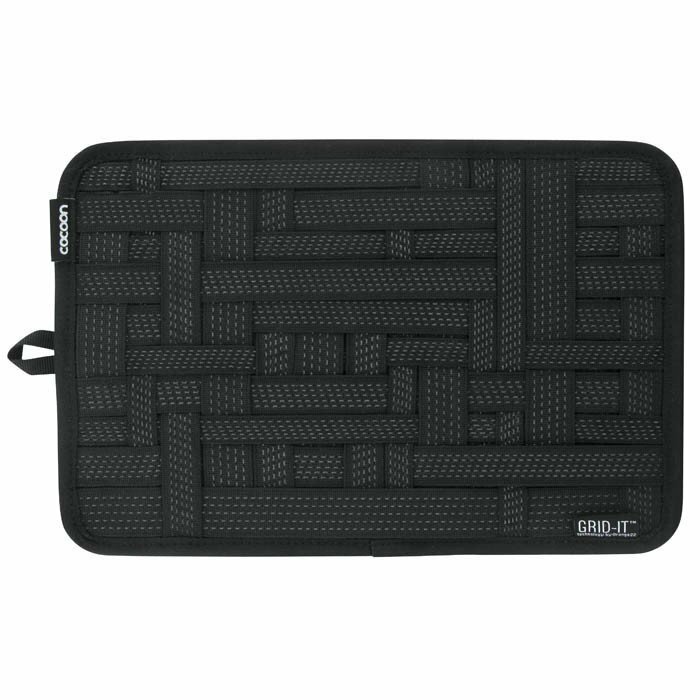 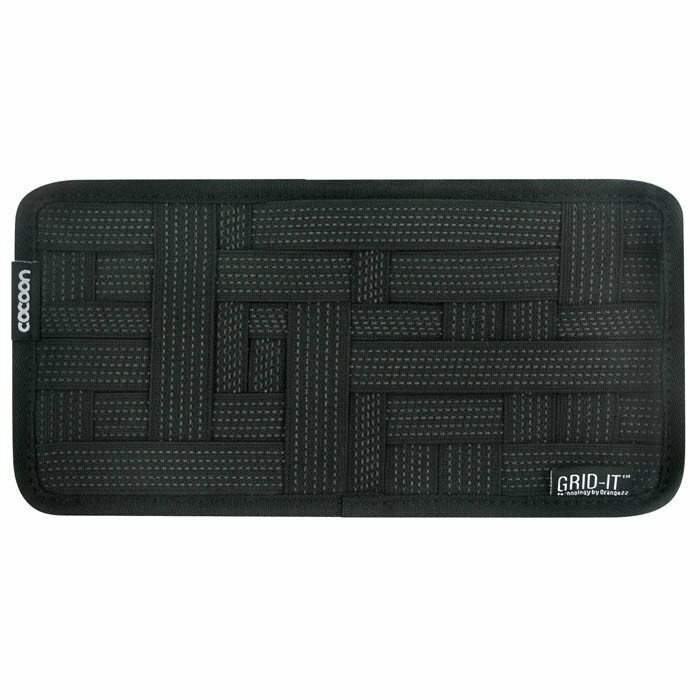 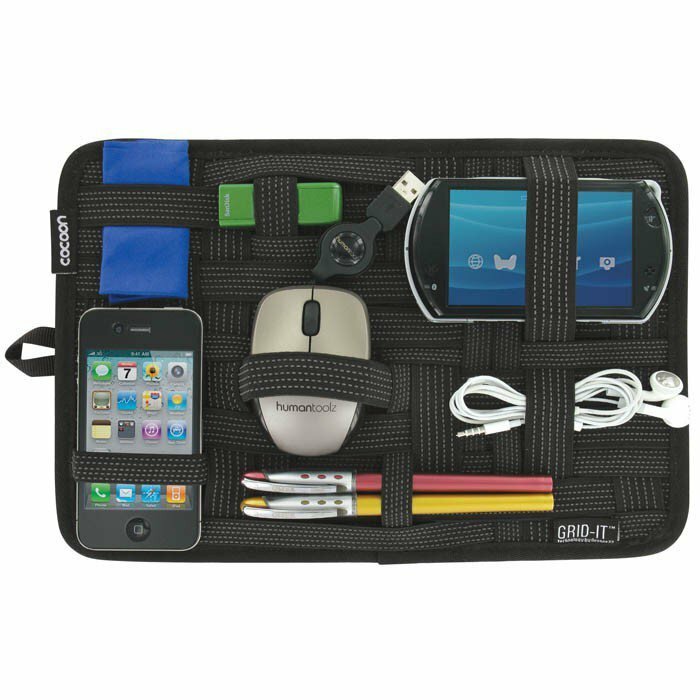 GridIt™ is a rigid tablet covered on one side with a clever arrangement of elastic bands with rubber dots that keep things from slipping. 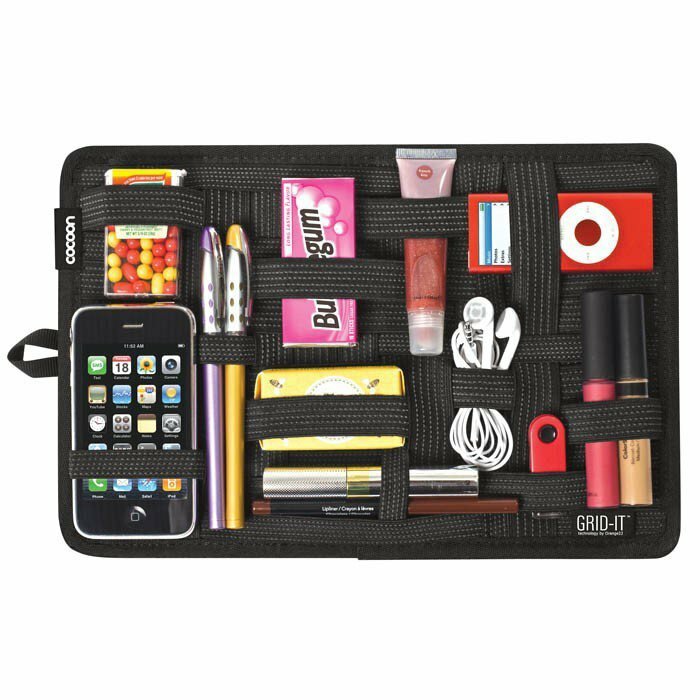 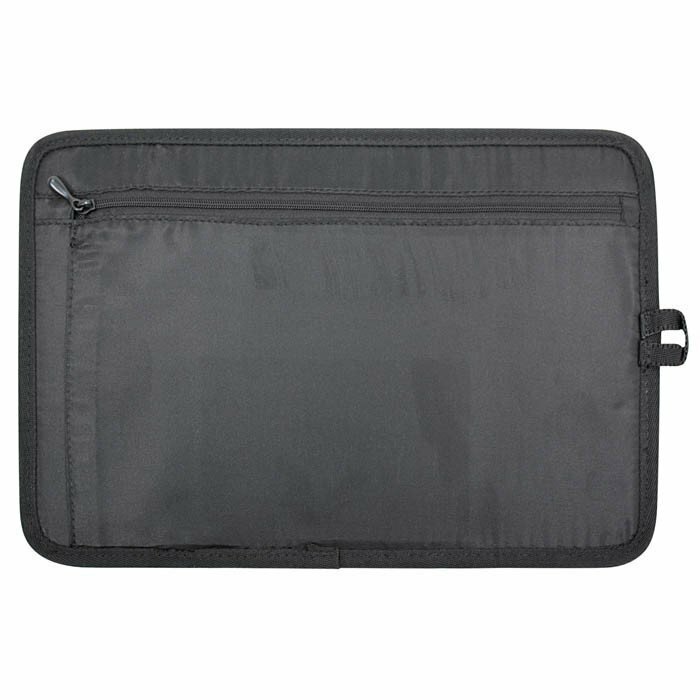 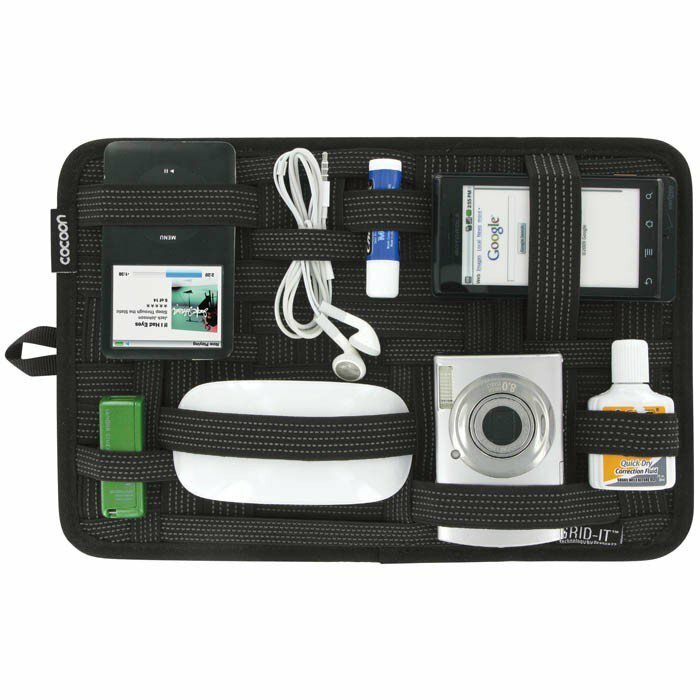 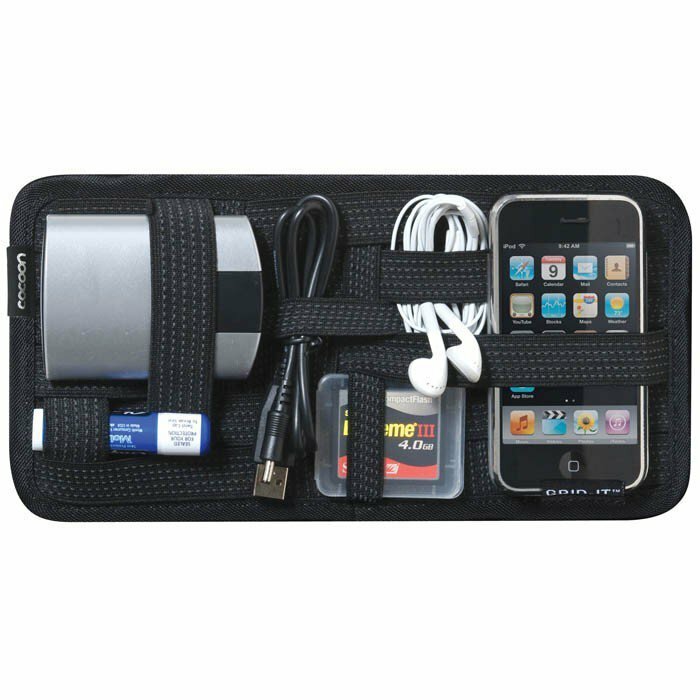 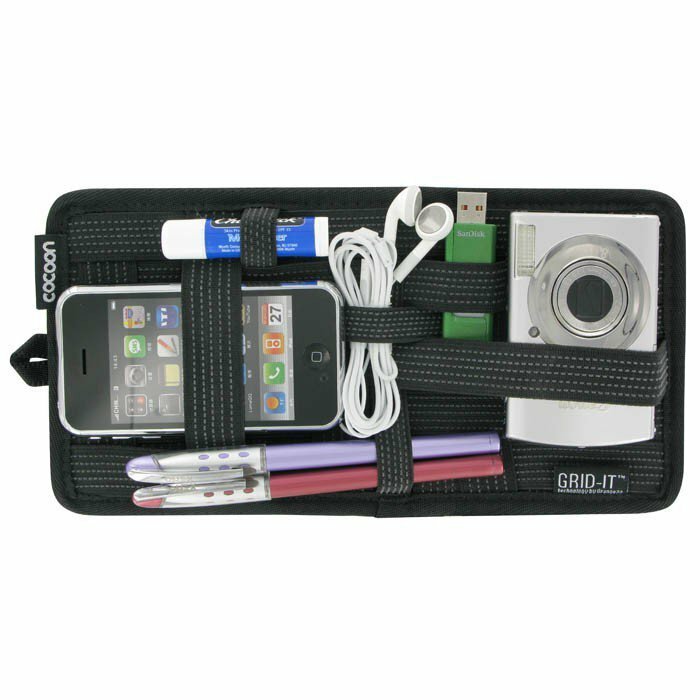 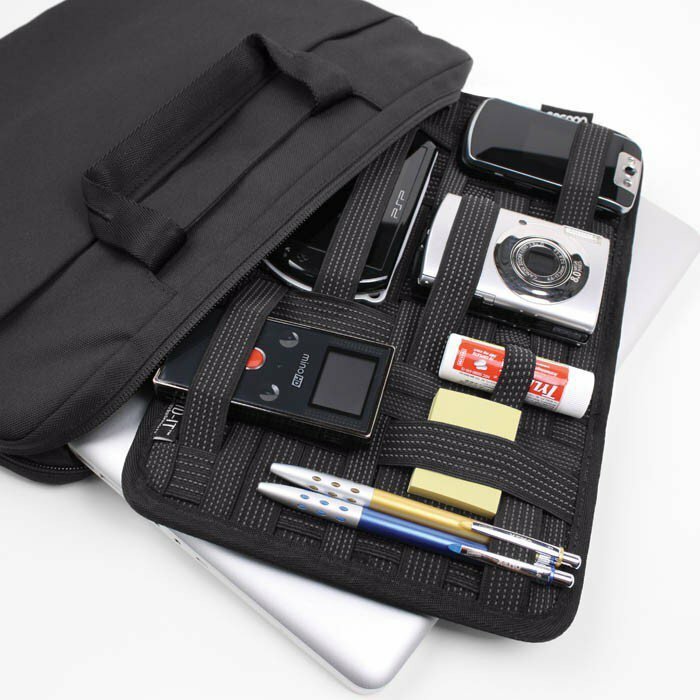 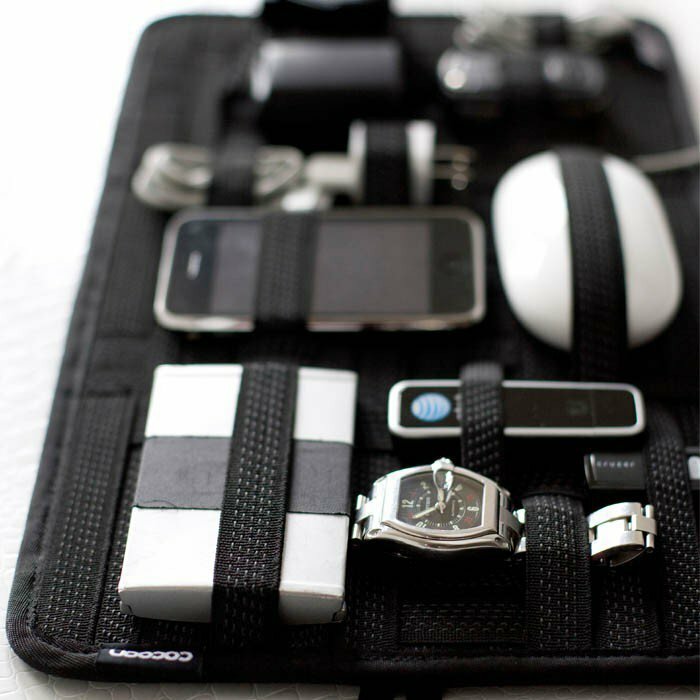 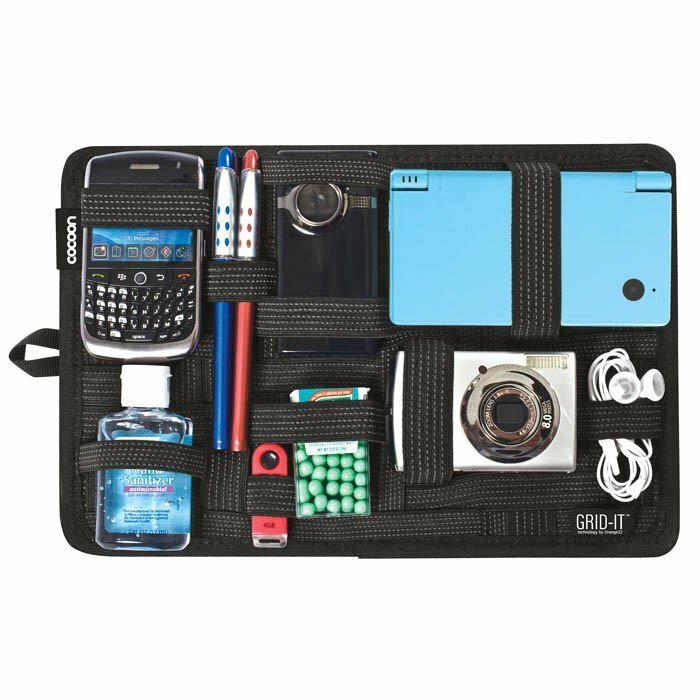 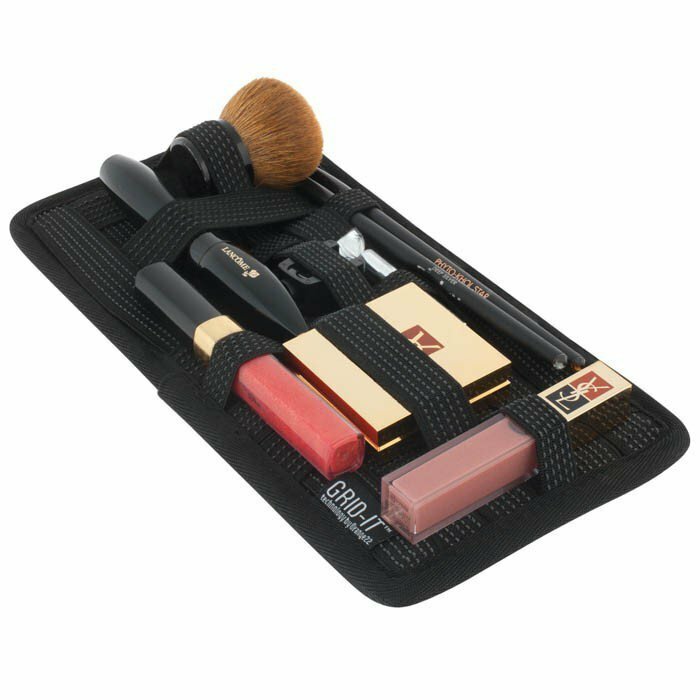 Result: each of your little objects that usually are bunched together in an incoherent pile in your bag, briefcase, or suitcase has its own place on this organizer panel, where it is completely visible, identifiable, and accessible. 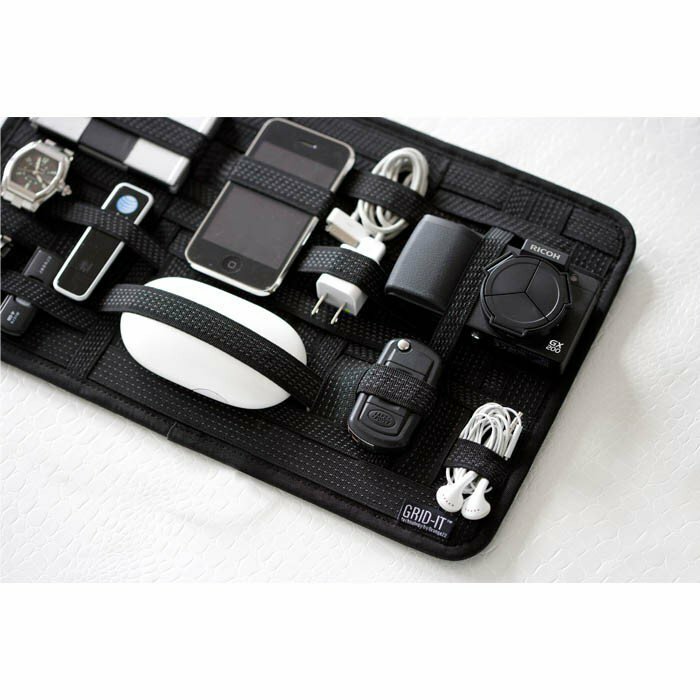 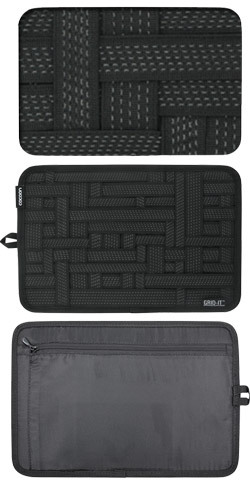 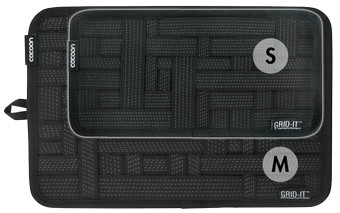 We have selected 2 Grid'It™ formats: the small version, which can snugly hold a few objects in a bag while not taking up too much space (26cm long, 13cm wide, and 1cm thick), and the medium version (35cm long, 24.5cm wide, and 2cm thick) for more intense organizing in a computer bag or suitcase, around the size of an iPad or other 11" tablet. 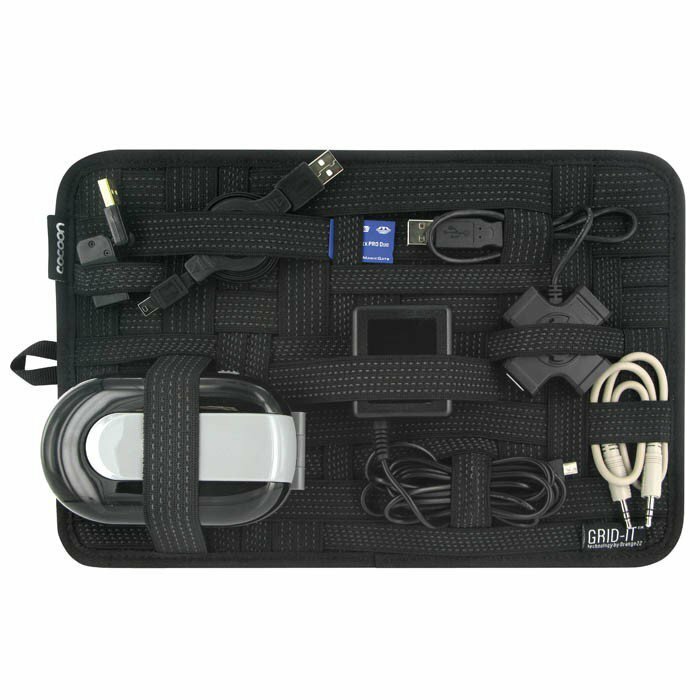 In a world where everything is getting smaller and digital accessories are increasingly necessary in order to stay connected, Grid'It™ makes it possible to organize small stuff on a rigid panel in a very rational manner.